Absolutely you do! More than ever! 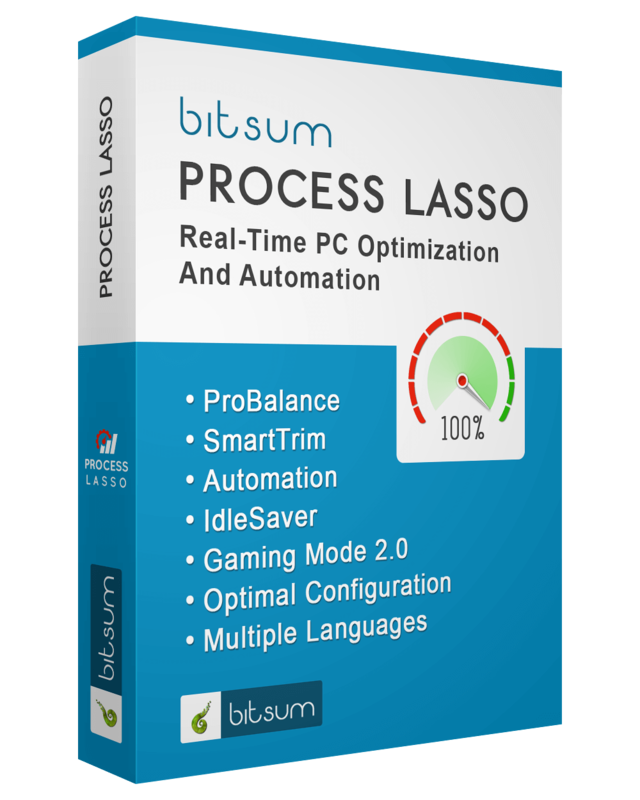 We never sold that old ‘XP style’ optimization crud here at Bitsum, so we remain relevant, increasingly so. Process Lasso is as relevant, if not more, on newer processors than older. If you were to uninstall, most everyone then realizes the difference it was making! … and at the very least it is a great ‘catch all’ for a worst-case situation of an out-of-control process. Process Lasso’s ProBalance really makes a difference and we have so much multi-core stuff going on these days, so it’s beyond mere process priorities. Of course, then there is the automation and nice and easy ‘most optimal’ power plan in Bitsum Highest Performance. ProBalance demos while, say Sony Vegas is saving/transcoding, as well on new systems as it ever did on old systems. That means it is just as miraculous seeming. I mean, really. From barely able to move the mouse, to fluidity, as soon as you click away from the offending process of course, since a foreground exclusion is one of the many safe and conservatively configured variables. All this for almost zero overhead (could be reduced even further by setting the GUI to only run manually), and at the very least it is a great ‘catch all’ for a worst-case situation of an out-of-control process. Of course, I have not even begun to really get into the advanced automation and rules, but I think the point is made.